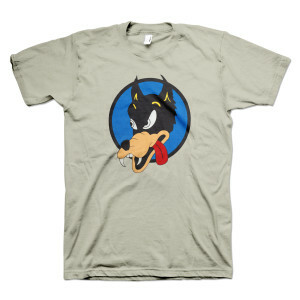 A familiar sly grin from Jerry's first custom built Doug Irwin guitar, Wolf is printed on a 100% certified organic cotton shirt. The "wolf" looks great and fits great! High quality product all around! Thanks for caring ? Everything was great, my girlfriend loved the shirt, and when she's happy, I'm happy. Thanks guys!! I really like these shirts from GFP. The screen printing is top notch and the shirt material is high quality. I, however, have to knock a star off my review as my little form of protest. I want the option to choose which color shirt the image is printed on. Wolf on putty, Alligator on green? Quality material as usual, thick but soft. Wolf is bright ! Never had a bad experience from here. I really like the quality of the shirt it’s thick, as opposed to the same size shirt from Dead.net. 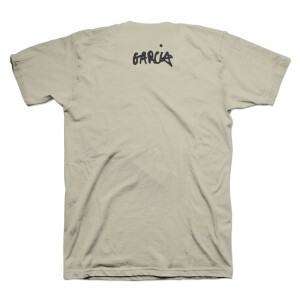 Theirs is a thin almost see through material, that doesn’t look like it’s gonna last as long a Garcia T-shirt. 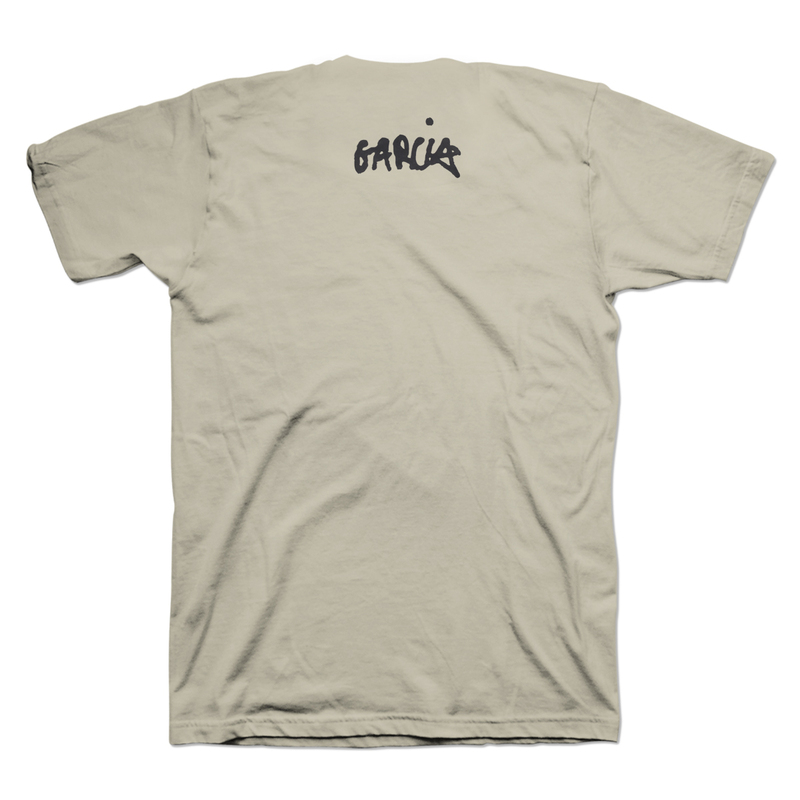 I gotta keep buying Garcia shirts for the quality!!! Bought 3 different tee's. They're all great but this I think is my favorite. Would love to see you bring back the brown Cowboy Jerry tee where he's sitting in a dressing room with small amp, electric &amp; cowboy boots. That was the best one ever. Great fitting, soft and comfortable. 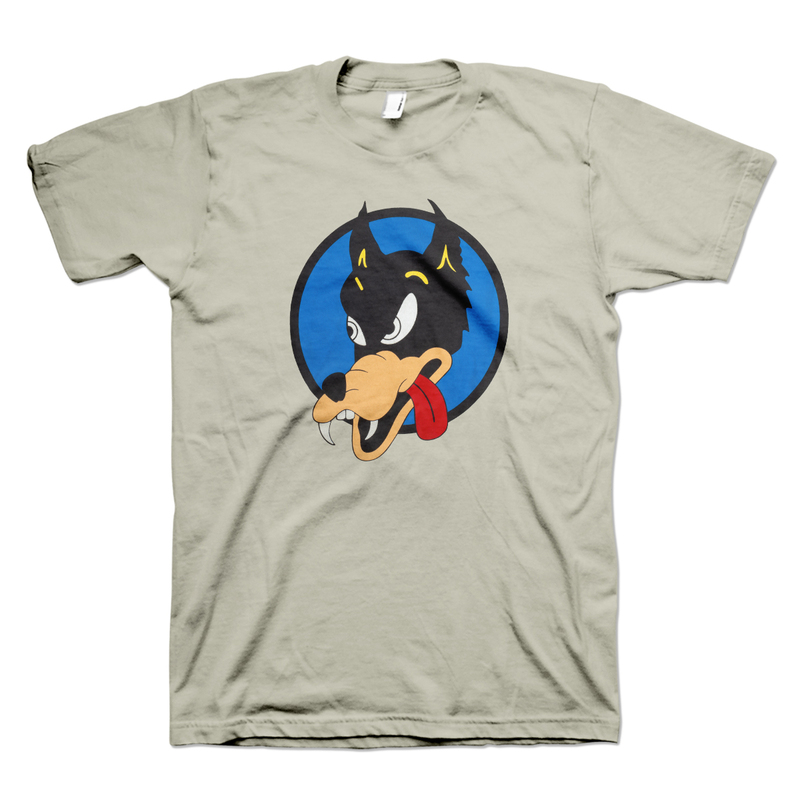 Glad to fly with the mischievous Wolf! Back in my misspent youth, on many occasions I found myself standing in front of the stage at the Keystone Berkeley, listening to Jerry and Merle while entranced with the wolf on Jerry guitar. I can still hear Jerry playing "Tough Mama" and Merle taking the lead on "You Can Leave Your Hat On" echoing in my head today, almost 50 years later . This shirt will take you back to the early 70's too. Buy it now before your size is gone.